Out of 450 million-odd mobile internet users in the country, many fall into the category of “hotspot providers”. These users always come to the rescue of fellow friends who fall short of mobile data, especially if they are surviving on prepaid mobile connections. Why do many people face a paucity of data in the first place? A big reason is the failure to track which apps are eating away at their mobile data in the background when they are not needed. 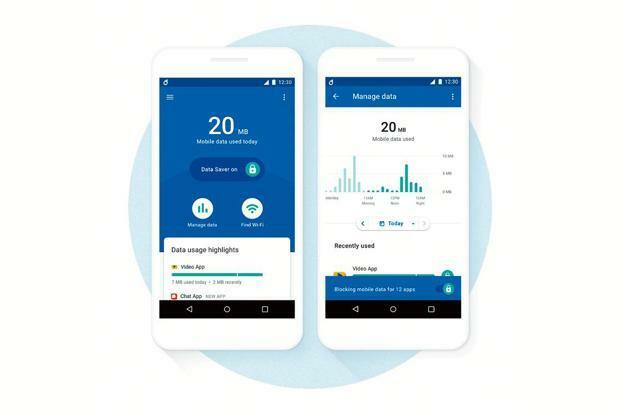 Google recently came out with a new app, Datally, that lets you keep a tab on, and control, other apps that are wasting mobile data in your device. Datally was released globally for all phones running Android 5.0 (Lollipop) and higher on 30 November. To use Datally, you will have to give the app usage access permission to measure and control the use of mobile data. Users can then look at the mobile data they have used during the day. The app’s home screen also has options to set up a data saver, manage data and find Wi-Fi networks. We like the way Google has made the app interface interactive, with colourful icons, and included a data usage highlights tab on the home screen. This tab lists the top three apps on your device based on data usage. Users can also set up a data saver. This feature basically blocks background data and lets users choose and control which apps use this data. The data saver allows users to track data usage in real time while using different apps. “It’s like a speedometer for your data,” Caesar Sengupta, vice-president for the Next Billion Users team at Google, wrote in an official blog post. Users can also block data if an app’s data usage gets out of control. The Find Wi-Fi option is also an interesting feature. It not only shows the Wi-Fi network one is connected to at that moment, but also ones in the user’s vicinity. It uses your Android device’s location to suggest suitable Wi-Fi networks in the nearby area. If you choose a network, Datally opens Google Maps to show directions to the Wi-Fi network’s location—an impressive addition for those who regularly use public Wi-Fi networks.